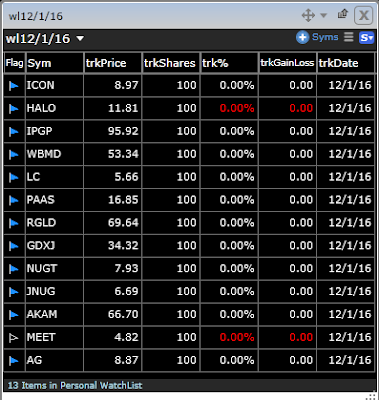 My rolling 5-day watchlist which is my best short-term market barometer for swing trading has been weak. Oil and oil stocks were the talk of the town yesterday, and there’s seem to be some follow through this morning. Nasdaq vs. stocks up 25% or more in the last month. Like every indicator, sometimes it works sometimes it doesn’t. Below is my watchlist for the day, I have an interest in these stocks/ETF’s if and only if they go through yesterday’s high with a special focus on the miners.